Anyone of a certain age remembers the time when instant communication didn’t exist. There were no cell phones, Internet, e-mail, FaceTime or Skype; and, unless you were rich or wished to take out a second mortgage, long-distance and overseas calls were few and far between – the per-minute charges were prohibitively expensive. What’s now affectionately known as “snail mail” was pretty much it for long-distance communication. Moving across the country or around the world meant cutting yourself off from family and friends, save for letters. It was in just such a time that my family embarked on a great adventure shared by some, but not many, hearty souls: we relocated from the U.S. to Jeddah, Saudi Arabia. In today’s world, of course, Saudi is a known entity. But in 1970? Think Lawrence of Arabia. It was little more than a destination on the map. A year earlier, my father had arrived home from a 15-month stint in Vietnam with a yearning to see more of the world, and set out to find a job that would enable us to do just that. The search, however, produced leads that were never quite right. One that seemed promising, with defense contractor Raytheon, was for a position in the same exotic locale where we eventually landed, but the posting was single-status only, and he didn’t want to be separated from my mother, brother and myself for another long stretch. He turned them down. Months later, however, Raytheon called with a new offer that included bringing the brood – but, first, the family had to be interviewed. A personnel man arrived at our Northeast Philly home, showed us slides of what our life would be like in the Kingdom, and talked to my mother to make sure that she could handle the culture shock. I’d just turned 5, so my memories are somewhat hazy, but one slide that’s stuck with me through the years was of a circular pool. It looked like it would be fun to splash around in. I don’t remember if he specifically talked to us boys, but if he did I’m sure I showed him my teddy bear. Teddy was cool. My memories of our long-ago arrival are likewise vague. I’m told that as the plane circled Jeddah awaiting clearance to land, my dad looked out the window at the lights below and exclaimed, “They have electricity!” It was the first time, my mother says, that the notion that there might not be electricity occurred to her – at least, electricity for the masses. She knew, based on the slide show, that we would have it. The memories also jump past the plane’s bumpy landing and an interminable odyssey through customs, where the agent turned my teddy bear inside out (and missed the ammunition clip my mother unknowingly carried with her, everywhere she went, for the five years that we were abroad – it had slipped beneath the plastic bottom of her carry-on bag when said bag was used to store the ammo for a rifle my dad owned). 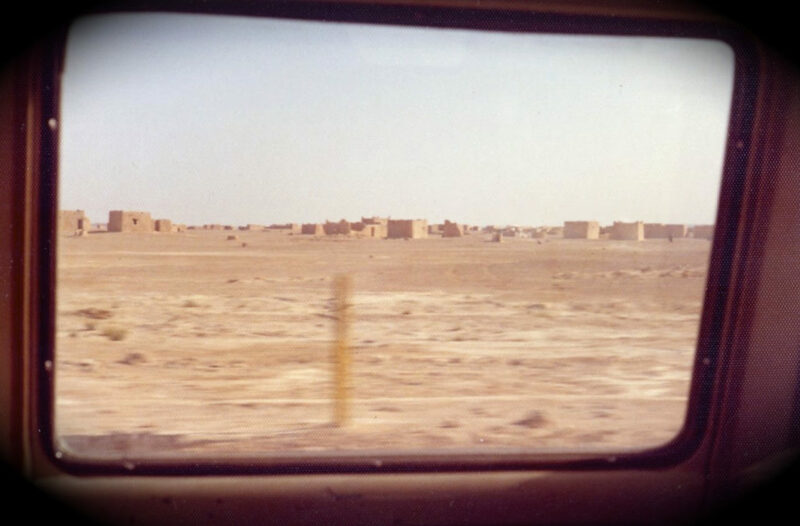 The memories pick up, however, with my dad’s new boss chauffeuring us on a late-night ride from the airport to the Raytheon compound, which sat beside the Red Sea and consisted of 100 or so cookie-cutter, single-story cement homes hidden behind a tall concrete wall. As it turned out, the lights seen from above were not widespread. Aside from the stars in the sky, the car’s headlights were often the only illumination – until we arrived at the compound, where a well-lit, military-style guardhouse accented the entrance and the Saudi guard refused us passage. Much of the back-and-forth, which was a mishmash of Arabic and English, sounded like gibberish to my tired ears, but the gist of it was this: no company I.D., no entrance; and my dad, due to our evening arrival, wasn’t slated to pick his up until the next day. Logic, I assume, finally won, and we eventually made our way to our new home after what seemed like an hours-long standoff, though it may have only been 20 minutes.